1. 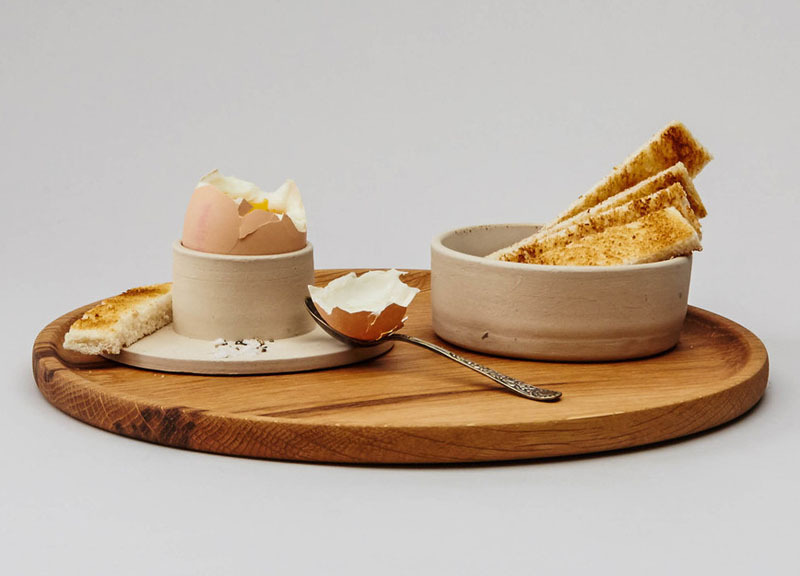 This stoneware egg cup has a wide base that provides a spot to rest your spoon on, or place shell pieces on. 2. 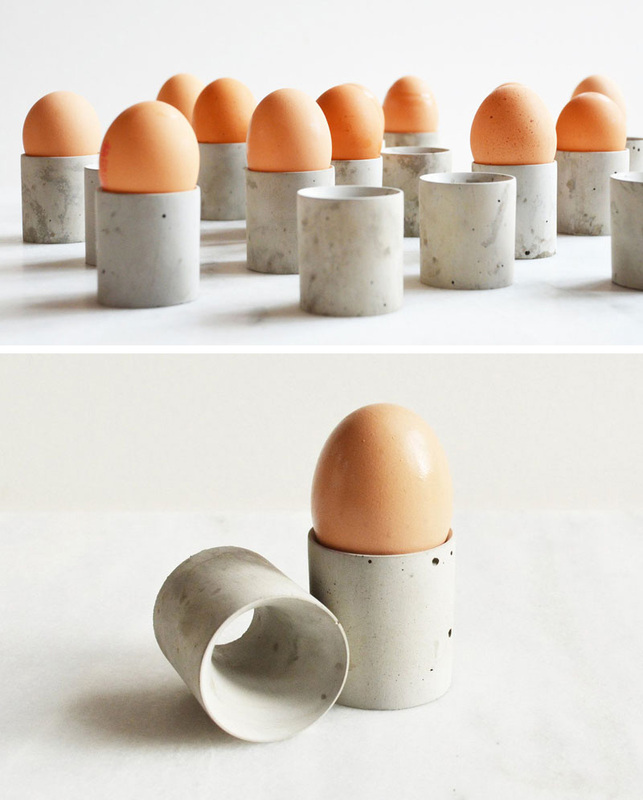 These hollow concrete egg cups are simplistic and could also be used as napkin rings if you’re running short. 3. These wood egg cups are a timeless piece that will continue to look good years down the line. 4. 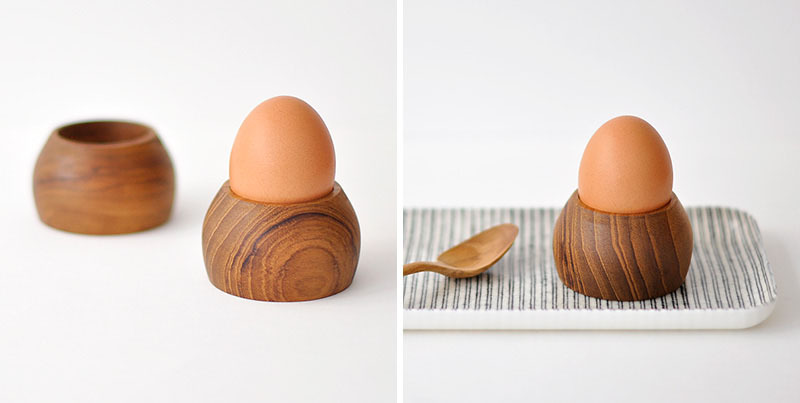 This light wood egg cup also has a place for a piece of toast to enjoy with your hard boiled egg. 5. 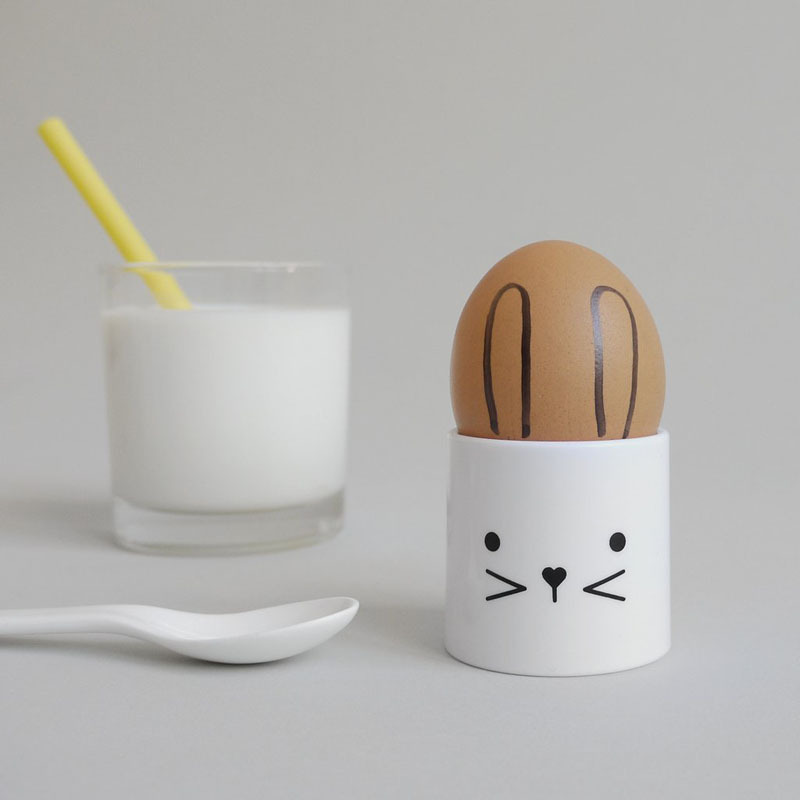 Encourage your kids to eat their eggs by putting them in these whimsical bunny egg cups. 6. 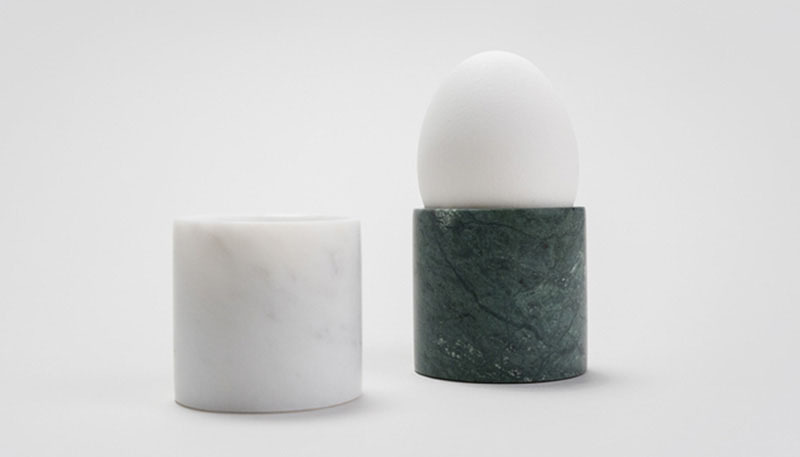 These egg cups are carved from solid marble making them perfect for eggs that require a throne rather than a cup. 7. 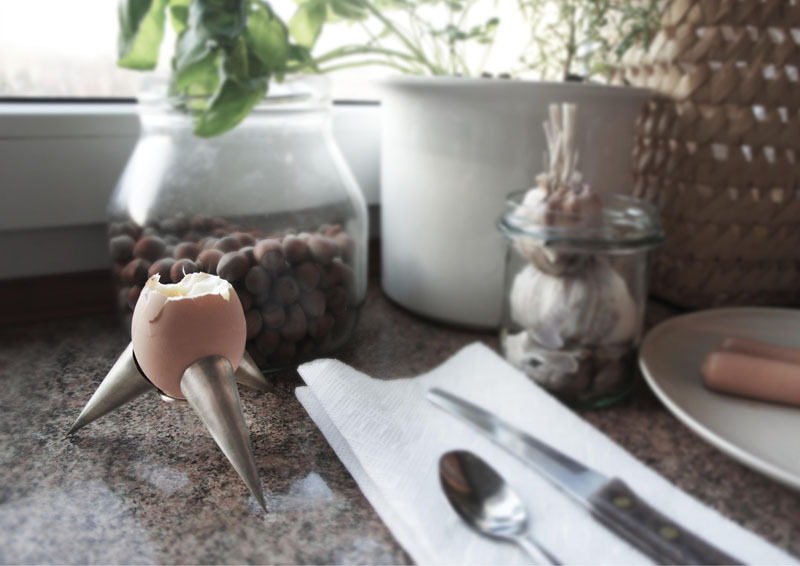 This futuristic egg cup breaks the traditional mold and adds a bit of uniqueness to your breakfast set up. 8. 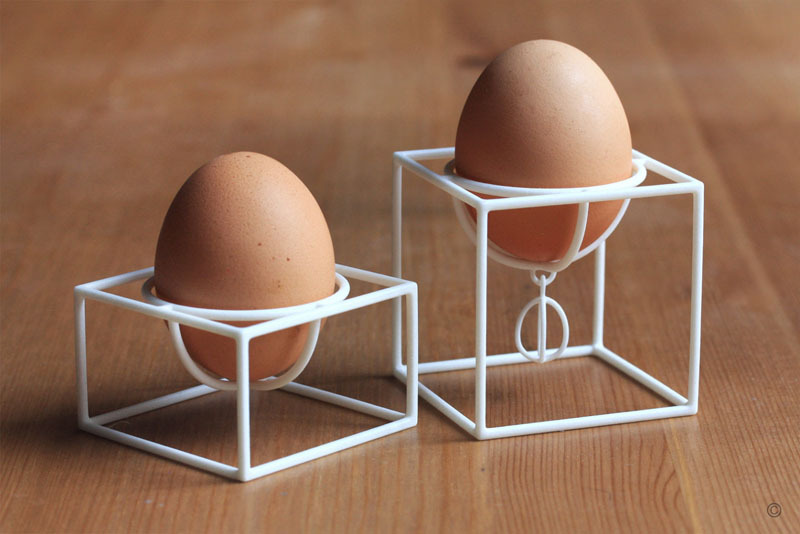 3D printed egg cups in cube form, support your eggs in all the right places and make your breakfast table look modern. 9. 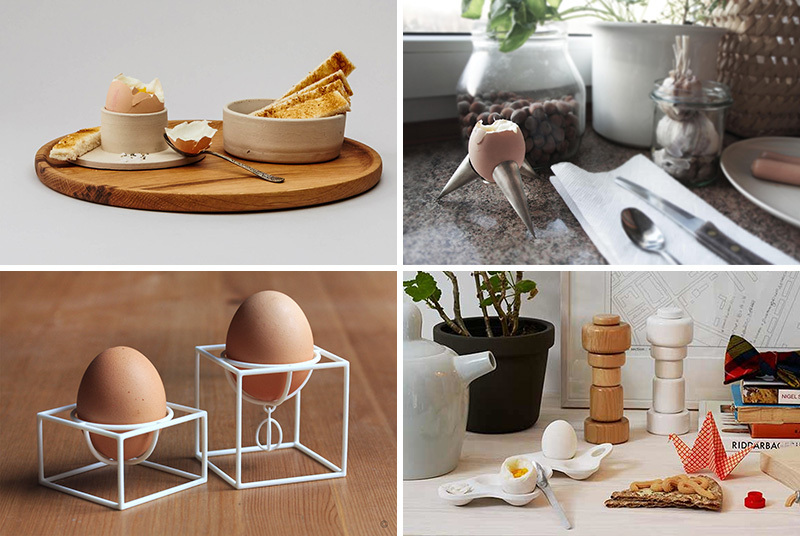 Although the material may be known for it’s hard edges, these concrete egg cups gently cradle your egg and keep it in the perfect position until you’re done. 10. 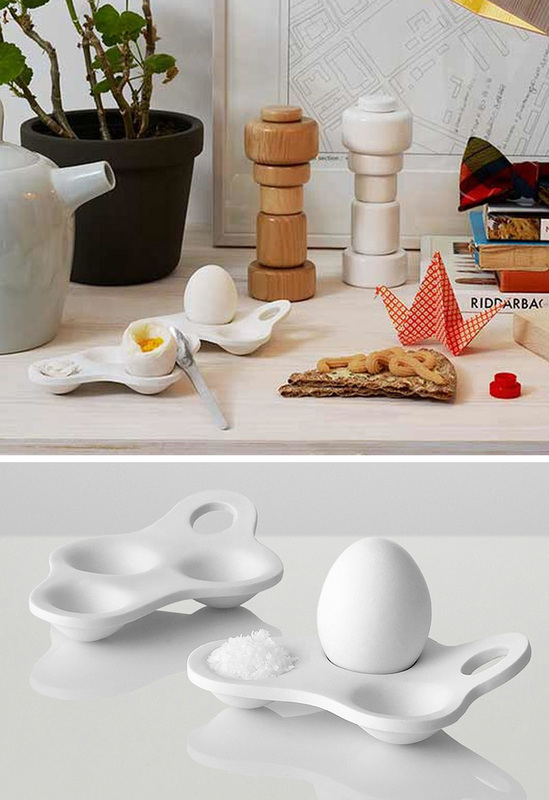 This egg holder was designed with three grooves in it to accommodate an egg and two other ingredients, like salt or ketchup, making it perfect for people who like a little extra flavour with their egg. 11. 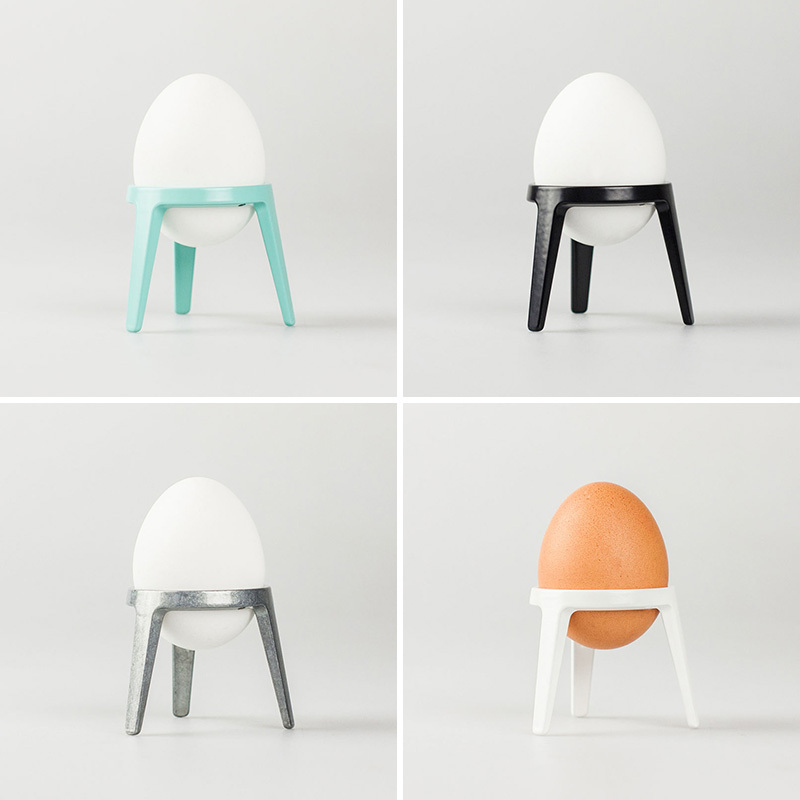 These minimalist egg cups were inspired by rocket ships, sitting in their base right before takeoff. 12. 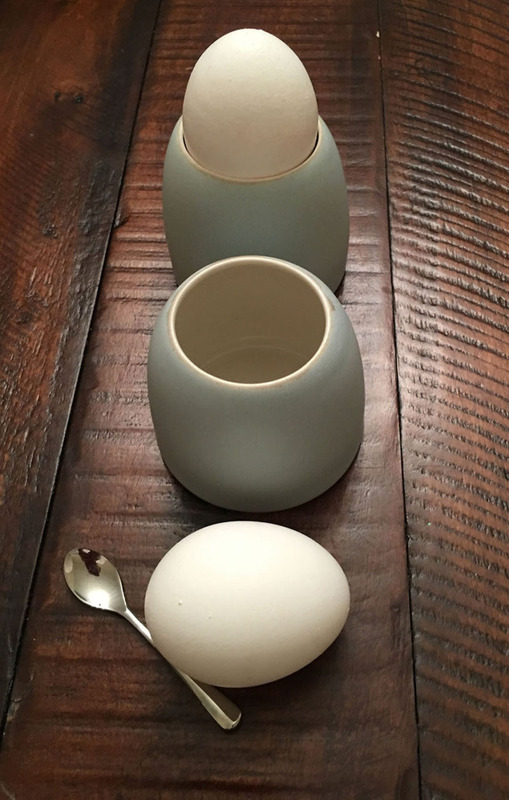 These light blue porcelain egg cups are delicate in design, and easy to use due to it’s dome shape. 13. 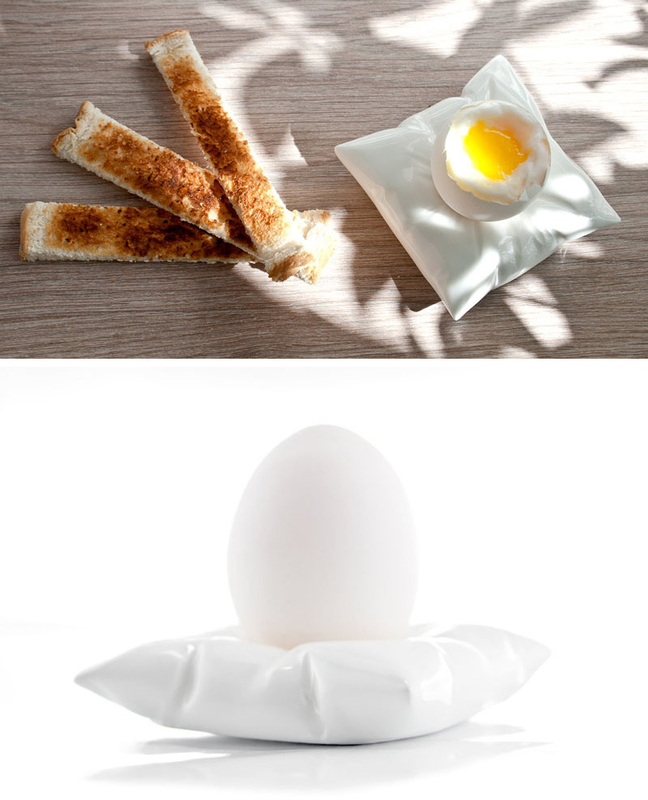 Lay your eggs to rest on this unique white porcelain egg holder that mimics a pillow.